This is one of the quickest and easiest projects. 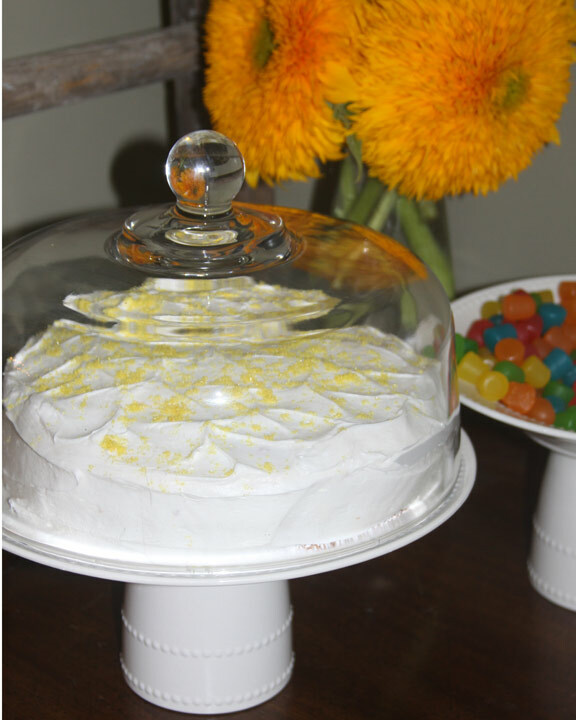 A simple, and adorable cake stand made from a mug and a dinner plate. The perfect way to display your yummy treats, a fun gift, and a simple craft project. Find a plate style that you love and give it a try! I was wandering the dollar store and came across these adorable plates. 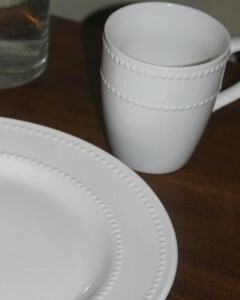 I loved the simple little dots and the creamy white color was perfect. Even better, they were each only $1.00! I very simply put a ring of E-6000 glue around the bottom of the mug and centered the cake plate on top. I placed a few books onto the plate until the glue was completely dry. Remember this needs to be hand washed after you use the glue. You can use any style, size, and priced plate to make these. I love how simple and pretty it is. It is so inexpensive that you could make them to match any special occasion that you are having without spending a lot of money. I almost always have it out on the counter with muffins, cupcakes, or some kind of treat in it! I use a glass cake topper that I already had to cover my goodies, and it fit perfectly on the cake stand that I made. I also picked up a matching bowl, an extra mg, and another plate when I was at the dollar store. 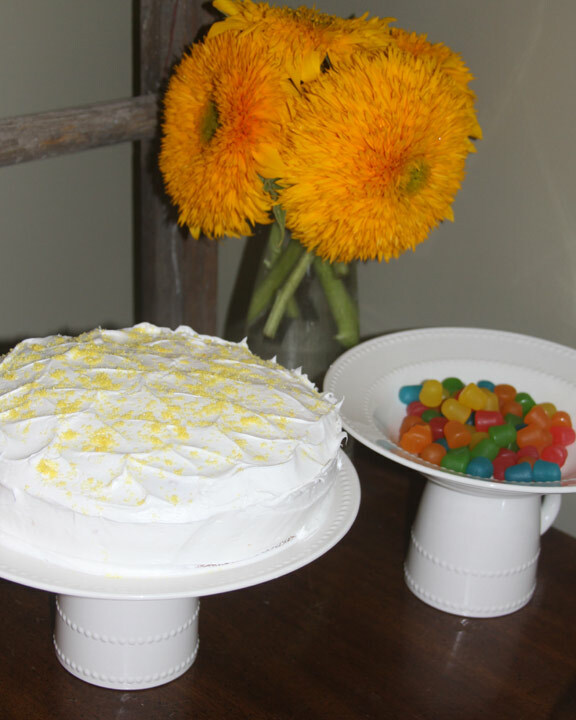 I made a candy dish to match the cake plate. This was made in the same exact way as the cake plate. 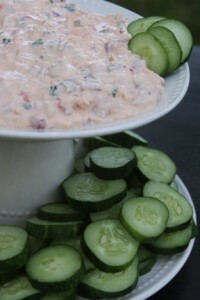 It works great for little treats, dips, and anything that you would serve in a bowl! This is the “candy dish” sitting on top of the extra plate to serve veggies and dip. 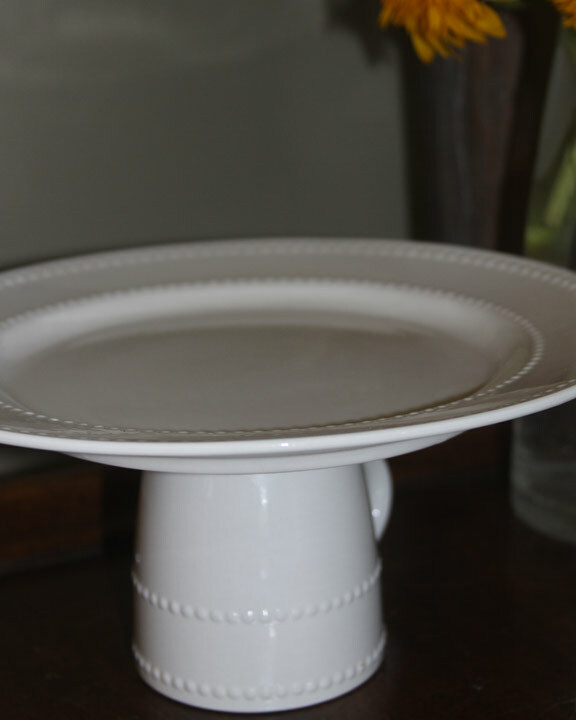 These inexpensive plates and mugs have turned into really nice serving pieces. I love them so much that I find any excuse to use them! They are a great addition to our kitchen and make anything I’m serving look extra special. I hope you try it!